The district was originally called Bundamba Creek but this caused confusion with nearby Bundamba, so the postmistress Mrs Orr proposed the name Blackstone, believed to be a place in Ireland. The area is renowned for its mining history and in 1866 Welshman Lewis Thomas established one of the first mines in the area. Blackstone has a rich Welsh history with Lewis Thomas having populated the community with Welsh miners and their families, who in turn established their own Cambrian choir and church in 1886, a School of Arts in 1891, a Soccer club in 1890, and public school in 1887. Blackstone State School	opened on 17 January 1887 and closed on 31 December 2009. ^ a b Australian Bureau of Statistics (31 October 2012). "Blackstone (SSC)". 2011 Census QuickStats. Retrieved 23 April 2014. ^ a b "Blackstone (entry 47394)". Queensland Place Names. Queensland Government. Retrieved 21 April 2014. ^ a b "Suburb and Place Names". Ipswich City Council. Retrieved 20 September 2017. ^ "Opening and closing dates of Queensland Schools". Queensland Government. Retrieved 21 April 2014. ^ "Agency ID4852, Blackstone State School". Queensland State Archives. Retrieved 23 April 2014. ^ "United Welsh Church, Blackstone (entry 600548)". Queensland Heritage Register. Queensland Heritage Council. Retrieved 9 July 2013. ^ a b c d "Ipswich Heritage Study". Ipswich City Council. Retrieved 20 September 2017. ^ "Railways". Retrieved 20 April 2018. 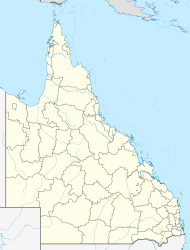 Wikimedia Commons has media related to Blackstone, Queensland. This page was last edited on 18 January 2019, at 09:19 (UTC).